The idea started simply. After growing frustrated with the lack of accessible high-performance fuels and octane boosters for their racing lineups, the company’s founders, and their team decided to create their own. 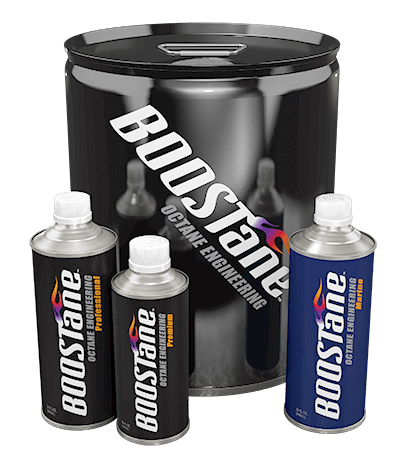 The BOOSTane team spent years of testing and developing an octane booster with two conclusions: 1) the products in the octane booster market had some serious shortcomings, and 2) they could engineer a better solution. The resulting product worked so well it was recognized as a Sema Launch Pad Winner. BOOSTane brings decades of real-world experience to the table. They understand the challenges facing those with high-performance engines who aren’t looking to haul around barrels of race fuel. They set out to solve that problem. The result is a no-frills, convenient, and extremely reliable product that delivers on its promises.